The History of Stone Mountain Access Systems Inc.
Stone Mountain Access got its start in Chicago. With only four employees, we started as a swing stage service, sales, and training facility and stuck primarily to commercial jobs. Became the first safety training provider to be approved by the City of Chicago. Since then, we have educated over 15,000 swing stage and scaffold users. Our safety courses in every location are designed to meet or exceed both OSHA and City of Chicago standards. Two new offices opened in Atlanta, GA and Pensacola, FL. Further expanded in 2010, both with a new office in Gulfport, MS and the addition of scaffold services. 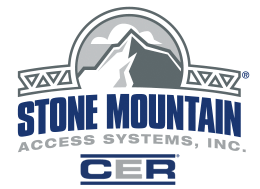 Stone Mountain Access Acquired CER Access Systems, adding 4 new offices in Florida.